Upgrading your wheels is one of the most significant improvements that you can make to a bike to improve your performance. This is particularly relevant given that many bike manufacturers have recognised that wheel selection is a very personal choice and have started putting what we would consider a training wheelset on otherwise pro level builds. For example, the Cervélo S5 Ultegra bike is supplied with Mavic Cosmic Elites, wheels that are fantastically robust with an aero profile but, it’s fair to say, not at the same level as the components on the rest of the bike. 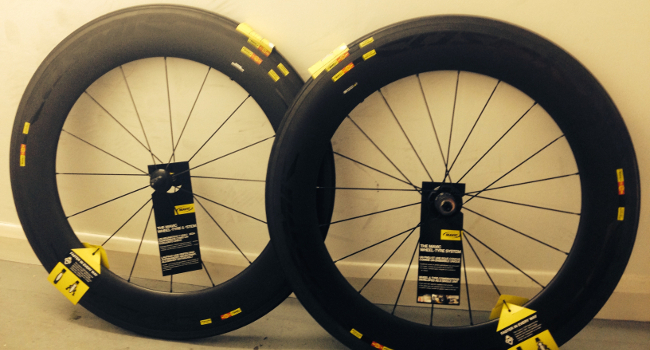 We’ve picked out some aerodynamic wheelsets that we regularly recommend to customers who come into the store looking for wheels that are going to improve the aerodynamic profile of their bike and hopefully make them quicker over most courses. These are wheels that feature a deeper section rim and there is an inevitable slight increase in weight when compared to wheels designed purely to minimise weight, however you’ll see deep section wheels being used by the pros in nearly all races as the cost vs. benefit ratio is generally in favour of improved aerodynamics rather than the relatively modest weight savings. The Cosmic Carbone SLS wheels could be considered a hybrid wheel combining the braking performance of an aluminium rim with a 52 mm carbon fibre fairing for an aerodynamic edge. 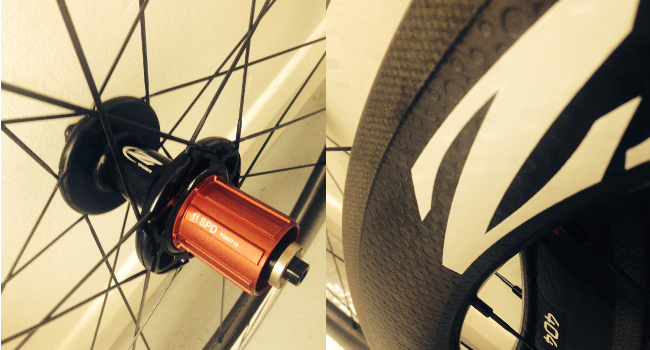 Weighing in at 1695g the wheels are 300g heavier than a comparable low profile aluminium clincher (e.g. the Mavic Ksyrium SLS Clincher), unfortunately we couldn’t track down any specific wind tunnel data for the Cosmic Carbone SLSs, however Sam certainly noticed improved performance at speeds over 20 mph when he upgraded to these wheels and Mavic have clearly tried to evolve the aerodynamic credentials of this wheelset over time and the latest generation features a sleeker hub. 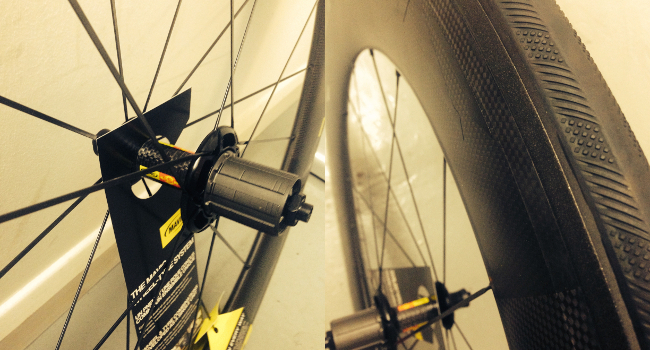 There’s no doubt that the Mavic Cosmic Carbone SLS will improve your speed on all but the hilliest courses but for us the most impressive aspect of these wheels is how robust they are. 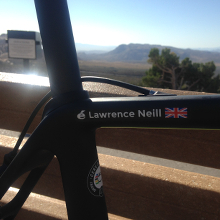 They are genuinely a wheel that you could train and race on, something that is not often possible with a deep section wheelset. A 16/20 front/rear spoke pattern ensures strength whilst the hubs are double sealed and the contact between the pawl and hub body is reinforced with stainless steel inserts. 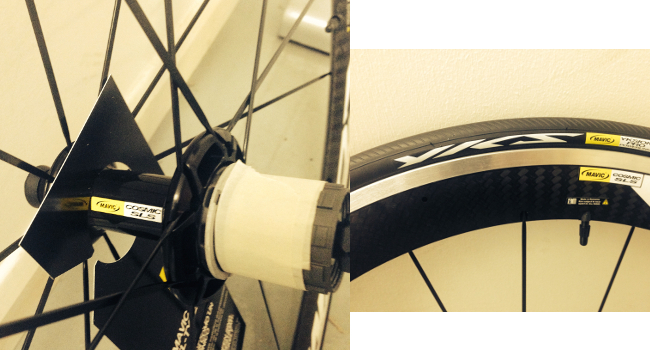 There have always been 2 fundamental issues facing wheel designers when producing carbon clinchers - the ability of the side walls to resist the pressure of the tyres and the reduced capacity of carbon to withstand high levels of heat. 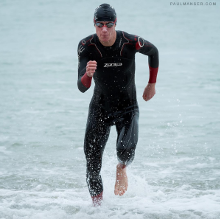 Zipp realised that the limiting factor was the resin that held the carbon together, they went away and developed a resin that could withstand forces and temperatures in excess of the best performing aluminium rims. 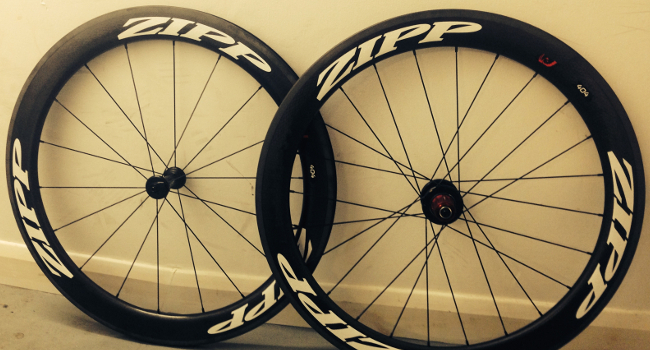 Zipp is a company synonymous with being ahead of the curve, it’s well known that Zipp wheels are re-badged by teams/athletes with different sponsors thanks to the simple fact that they are the best wheels available. The Firecrest 404 didn’t disappoint in terms of further innovation, the new rim shape outperforms rims of much greater depth in terms of pure aerodynamics and yet is significantly lighter. 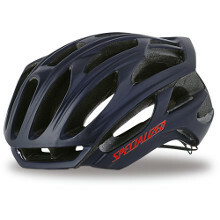 It also has exceptional handling characteristics, a feature that is most appreciated when riding in a group or in high wind situations, with riders commentating that it has the feel of a shallower section wheel in cross winds. The Zipp 404 is a great compromise in terms of aerodynamics and weight, the 58 mm depth and Firecrest shape make this the fastest mid-section wheel Zipp have every produced, whilst a weight of 1525g is light enough for everything but mountain ascents. No discussion of wheel upgrade options would be complete without a mention of a tubular option. The tubular vs. clincher debate is likely to run on for even longer than the length of this excessive blog post, however in summary; tubular’s offer better performance (lighter, round tyre cross section, less likely to pinch flat and able to ride to a pitstop if flat) but they are more expensive, more hassle to fit and carrying spares is more complex. As mentioned previously there were some safety implications associated with carbon clinchers however Mavic and Zipp have resolved these issues over the past couple of years. 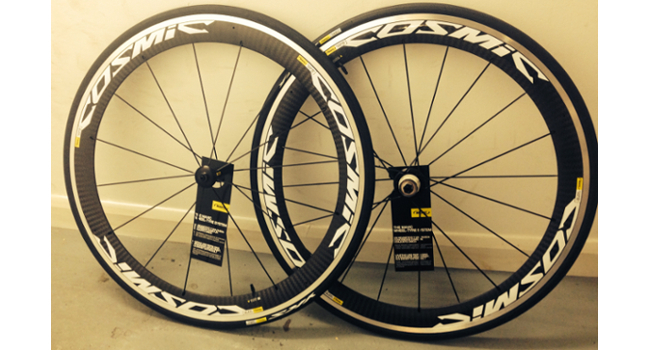 The Mavic Cosmic CXR 80 Tubular Wheelset are the wheels of choice for Team Garmin Sharp on their Cervélo P5s and occasionally S5s (when it’s a particularly fast and furious road stage). The CXR 80 is a performance wheelset; stiff, light (1630g) and fast, with reported savings of over 40 seconds over 40km when compared to other aero wheelsets in the Mavic range. As with all Mavic Products the Cosmic CXR 80s feature exceptional build quality with the same technology featured on the Cosmic Carbone SLS hubs to increase durability and 100% 3k carbon fibre rim construction. The wheel-tyre system pioneered by Mavic is showcased at it’s best on the Cosmic CXR 80 with a CX01 blade included to fill the gap between the rim and Yksion CXR Griplink/ Powerlink tyres, thus minimising the turbulence where the rim and tyre interface.